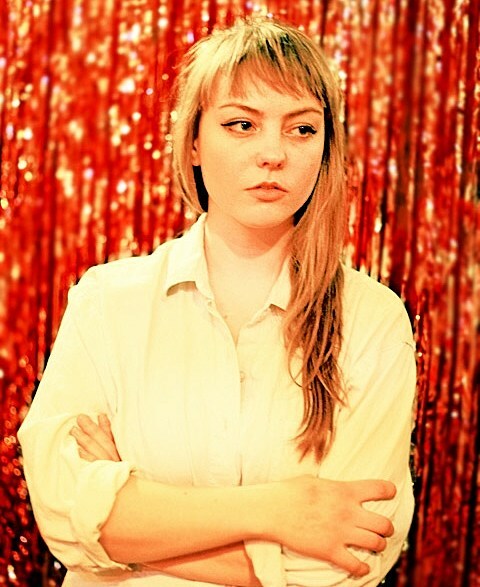 Angel Olsen releases her fantastic new album, Burn Fire for No Witness, this week (2/18), a record that takes the loner folk stylings of Half Way Home and often amps them up with full-band arrangements, but keeps the more intimate moments too. If you haven’t heard it yet, you can stream the whole thing on NPR and listen to a few of its tracks below. As discussed, she’s touring with Cian Nugent in support of it this week, which includes a now-sold-out NYC show at Le Poisson Rouge this Thursday (2/20). Now that that show is sold out, she’s added a NYC date to her recently announced second leg of North American dates, happening May 13 at Music Hall of Williamsburg. No openers announced for this one yet. Tickets for MHOW go on sale Friday (2/21) at noon with an AmEx presale starting Wednesday (2/19) at noon. Updated dates are listed below. In related news, avant guitarist Cian Nugent also headlines his own NYC show the day before opening for Angel at LPR this Wednesday (2/19) at Union Pool. Opening that show is David Grubbs and Bloom. No advance tickets, but admission is $8 at the door.